The Lighthouse overlooking the Gulf of Mexico. The Ferris Wheel and the Tower offers a great view of both the boardwalk and the coastal waters. For the past few years, our family considers Kemah Boardwalk as our all year round fun destination. It has a beautiful , calming view of the gulf providing an escape from the hectic city life and an amusement park that provides fun rides and games to both kids and adults alike. 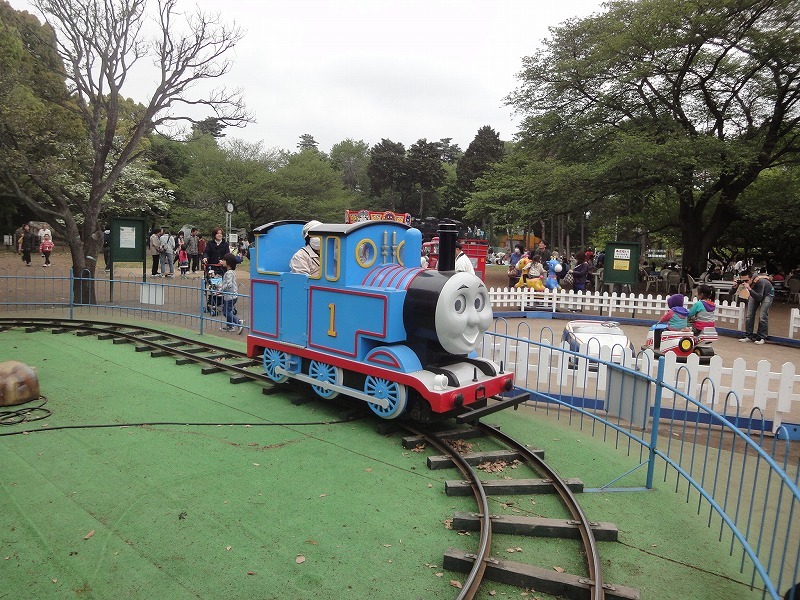 My son’s favorite is the train which we had to ride without fail. He gets excited when we enter the old west cowboy tunnel. It also has several waterfront restaurants that offers a variety of international cuisine. My son loves the Aquarium. He would walk around the circular tank following the sharks and stingrays. My wife and I depending on our craving for the day enjoys the seafood at Landry’s, sushi at Red, Mexican tacos and margarita at Cadillac Bar , shrimps and crawfish at Joe’s Crab Shack and today we tried the sirloin steak and grilled mahi-mahi at The Flying Dutchman which were both delicious. For those who like to shop, there’s a lot of specialty shops next to the famous Boardwalk Inn. My 5-year old enjoys exploring the Toy Crossing store and playing with the Thomas the train pieces. There’s even an all year round Christmas store which never fails to bring back nostalgic memories of past Christmases. The train goes around the boardwalk as well as under some of the restaurants. You'll learn a brief history of the Gulf and the boardwalk while enjoying the ride. Visual feast at the Flying Dutchman. Rock climbing while waiting for our food at the adjoining playground. The Boardwalk gives a totally different ambiance at night. The light effects are stunning, the breeze cooler and overall it’s just more serene and romantic . Young and old couples alike would sit by the bench facing the sea under an old lamp-post. It’s a prefect place to just talk and bring back memories. Specialty shops from Surf boards to souvenirs. The Boardwalk offers timeless amusement and many dreams . And for as long as my family’s heart yearns for fun, imagination , constant adventures and mouth-watering foods, it will remain as one of our top places to visit regardless of the season. Today, it’s our number two in our top 10 list of Summer fun places to visit in Texas. Through the years, it has been a source of excitement and relaxation for most Texans who love being close to the coastal waters. The festive play of lights was amazing . One of the tunnels at night. For a quarter, you can steer the boat. The entrance of the Aquarium. The wooden Bullet Coaster. It's a thrilling ride but my arm felt sore from being slammed from side to side. I hope you had a great time visiting the Kemah Boardwalk via this post. Summer promises a lot of exciting and fun activities for the whole family as well as for individuals. What’s your dream Summer destination this year. Any cool Summer travels or events in the past? I would love to hear your ” Best Summer Ever” stories. I may never be able to see the places you’d been but when you share them, it’s like being there myself. This entry was posted in Events, family, Inspiration, photography, Post A Week 2011, Summer Adventures, Travels and tagged Amusement park, Amusement parks, Aquarium, Beach, Boardwalk, Children, coastal living, coastal towns in Texas, Cooking, Events, Family, Ferris Wheel, Food, Fun, Gulf of Mexico, Happiness, Home, Inspiration, Joe's Crab Shack, joy, Kemah Boardwalk, Kemah Texas, Kids, Landry's Restaurants, Life, Lifestyle, Photo Galleries, Photography, Photos, Recreation, Reflections, Roller Coaster, sea, seafood, Texas, Texas Monthly, The Flying Dutchman (opera), Theme Parks, Thomas and Friends, thoughts, toys, Vacation, Vacation Destination. Bookmark the permalink. Thank you. we had a lot of fun that day. The lights at night were spectacular . I’m glad you like the post. Have a great day. Thanks Just Ramblin’ Pier. I try my best to do justice to the beautiful places that I visited. I know it’s not enough but to hear from you encouraging comments of appreciation, I know I must have done something right. I always like writers who makes their story so vivid that I could almost see myself being there and I’m hoping I can do the same in my own little way. For as long as you journey with me, I’m more than happy to share each bit of my travels with you. God Bless. I agree; your posts are like a travelogue. It’s such fun being able to visit along w/ you & your family! The boardwlak looks like so much fun during the day, but at night it’s truly *magical* ! I miss the boardwalks we used to visit in New Jersey, particularly in the family-friendly town of Ocean City. I used to visit there as a child with friends, and then after getting married and having my own children, there was always such sweet nostalgia visiting together. My daughters adore amusement parks – my husband and I love making them happy. Though I cant ride much any longer, I do take an occasional train ride. Thanks for bringing us along with you again! Your Welcome Christy and thank you for sharing your story. I never been to New Jersey or to Ocean City but I imagine that the Boardwalks and amusement parks are just as fun and beautiful. I’m glad that you can occasionally ride the train. It must be hard though considering the vertigo. I woke up yesterday with a bad headache , dizziness and nausea which eventually led to vomitting and I felt really sick. I thought then this must be what my patient’s feel like and it was really unpleasant. I took some meds, woke up a few hours after ready for work but It was a good self realization. Nostalgia often brings a lot of good memories and through our children we’re able to to recall the fun things we did when we were younger. It’s always nice if not wonderful to hear from you. take care. Most of our memorable summers have been on Cape Cod in Massachusetts and a couple of times in the White Mountains of New Hampshire. Our son loved trains when he was little, too, and so we made a trip up Mount Washington on the Cog Railroad. Thanks cocomino. Kids and trains equals fun time. My son was into trains when he was about 3-4 years old , he still plays with them but now he’s into Lego starwars. By the way, what’s a suhi? Have a great day. Love the Boardwalk-it appears to be a place with lots of festivities for a family to enjoy. The photos are beautiful. Thanks for sharing ! Your welcome Penny. Whenever we have out of town visitors , we usually bring them at Kemah for the view and the seafood. My kid though is all about games and rides. Isn’t it great to be a kid? Thanks for the comment. Thank you Elizabeth. I’m honored and happy to receive your gift. I can’t describe the feeling of getting such prestigious awards but all I know is that it motivated me to do better . I’m grateful for your kind words and each visit you make to my blog. Your post about gratefulness was inspiring. It made me reflect on what is valuable in life and a lot of them are already around me. Thanks my friend. Your words renews the spirit and uplifts the heart. Just a joy to have you around. I am originally from San Antonio, Tx. and have lived in California for some 35 years now. I’ve never heard of Kemah…think it must be time for me to get back to Texas! Hi, Angeline. Thanks for the visit. We have two places to share about , Texas and California. I checked the beaches you’d been too via your blog and all of them are beautiful. I wish I took the time to visit the Southern part before I relocated with my family. But it’s never to late to have a vacation in the future. Kemah is one of my favorite spots to be close to the ocean plus my son is crazy about trains, games and rides. Aren’t we all? Looking forward to journey with your posts! Thanks Anegeline for the visit. i share with you two great places, Texas and California. I enjoyed the beach photos a lot. I wish I tried to explore the Southern part before I relocated to Texas with my family. May be it’s time as well to have a vacation and feel the water and the sand of those beaches. Kemah is one of my favorites when I yearn for the ocean plus my son loves the train, games and rides. Looking forward to journey with your posts. I always wanted to visit Mexico, especially to Yucatan Peninsula where the Mayan Civilization was settled, but never be able to go there, reasons are too far, air tickets too expensive and friends tell me it is not safe to travel to Mexico without joining tour. =.= I don’t know, but all of these things hold me back. Thank you Christina. That was such a lovely poem. When I read it, it’s like I’ve been to Uluru myself. To share your thoughts and feelings in a poetic way is such a passionate expression. It’s like being in a serene state of meditation but only in words that touches the heart in a profound meaningful way.Just beautiful. You had so much great trips in the tropics. places I wanted to go but never had the chance. may be in the future. I enjoy your blog a lot that I subscribed. It feels good to be reconnected to those places via your blog. thanks. Thanks for the ping too. What a small, exciting world it is. Update me if you plan to visit Texas again , there’s just so much to do here and I wish I have more time to explore at least a fraction of them. Those post on Susing’s guitars was superb! Thank you for this virtual tour. We haven’t been to Kemah since the storm….Ike…reminds me we need to drive down and visit again. So glad it’s put back together again. Kemah Is a special place for us. Together with Galveston, they are a breath of fresh air from the busy city life. Hope you’ll visit it soon. It looks like Ike never visited the place. Landry’s has the measured height of the water, almost to the roof. Amazing. Thanks. I just got Six Flags and the beach. That’s all I need. You certainly took the time to put lots of pictures up. On your “The Ferris Wheel and the Tower” photo, I saw a strange looking bird at the top of the Ferris Wheel. The way it had its wings out, it looked like a dragon. What bird was that?